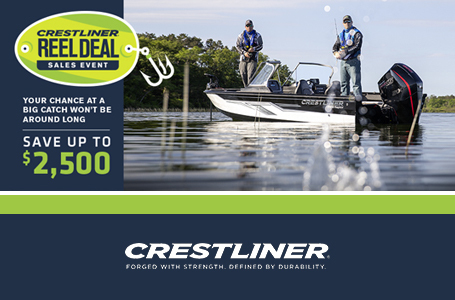 The Crestliner 1600 Vision Tiller is built with the angler in mind to deliver everything you need to make any day memorable. 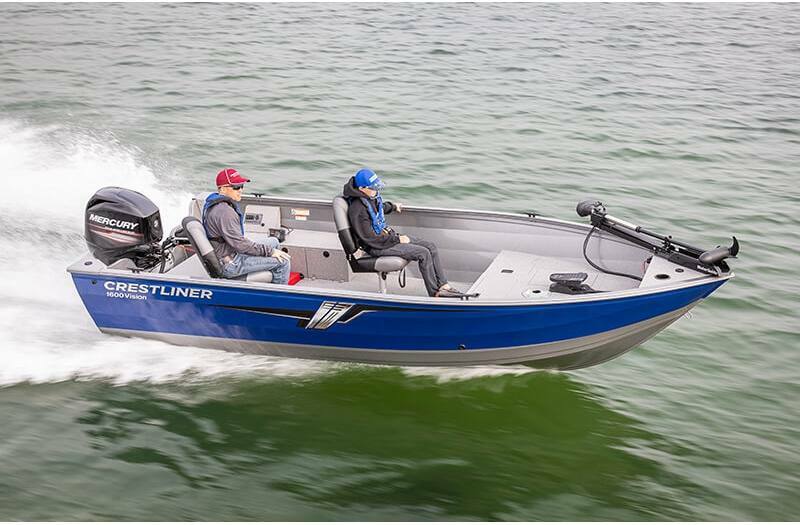 Featuring a large cockpit with easy access to the command panel, storage and motor all from your seat, this tiller boat will help you take your angling to new heights. 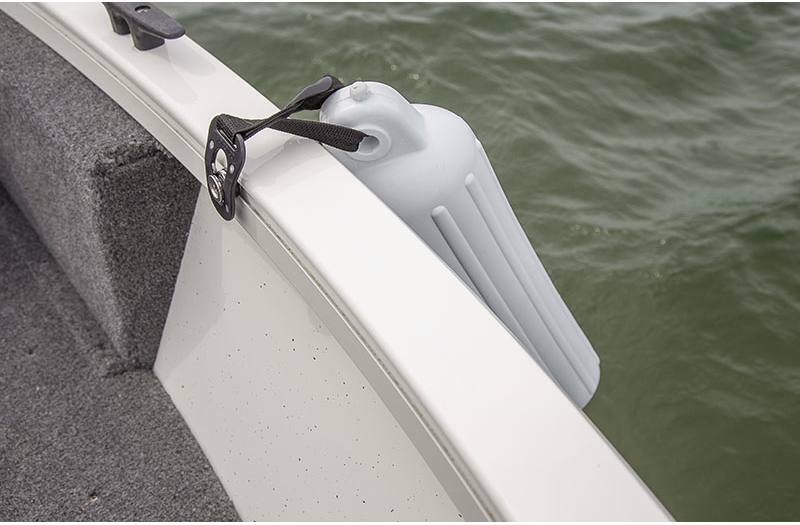 It comes with an open bow design so you can cast from anywhere on the boat, which means nowhere is safe for the fish. 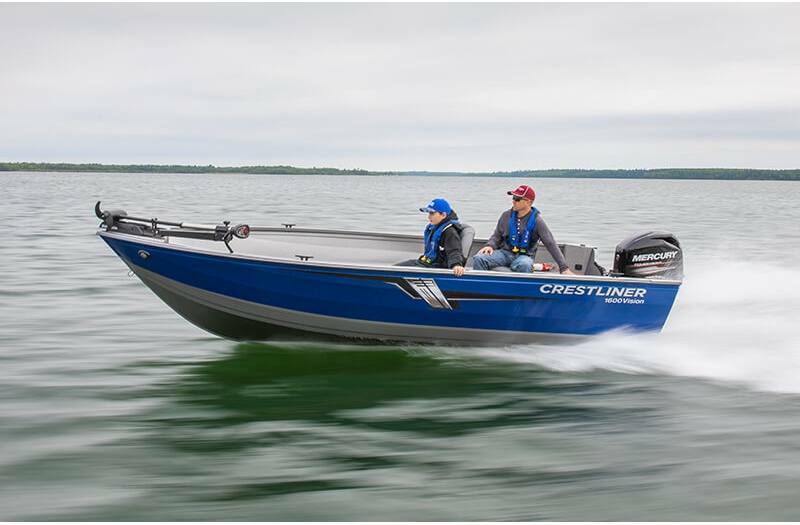 There's abundant rod storage with a lockable in-floor compartment and a starboard quick access rack that's easily accessed when you find the perfect spot to drop a line. 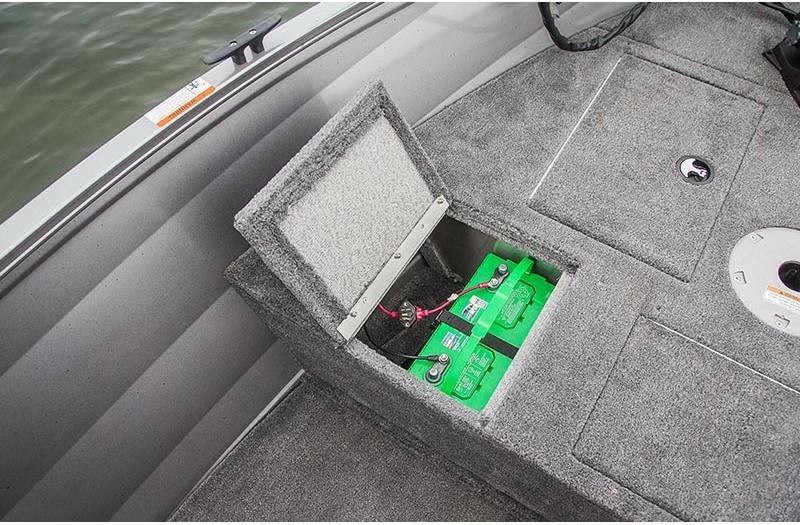 Once you've reeled in a few keepers, the 1600 Vision Tiller has a 17-gallon livewell to keep your catch fresh. So, the only limit you're faced with are the number of hours in a day. But, there's always tomorrow. 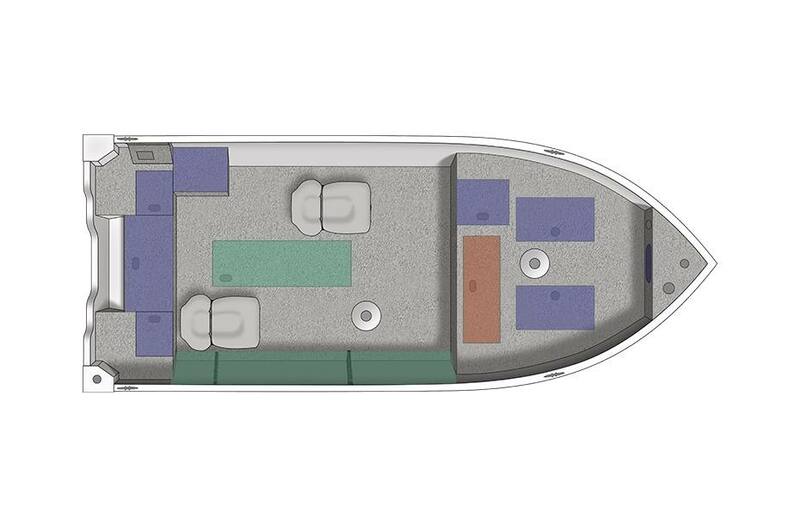 Open Bow Design: A wide, open bow design delivers fishing features like a spacious livewell, battery storage and dual compartments to keep things where they belong. 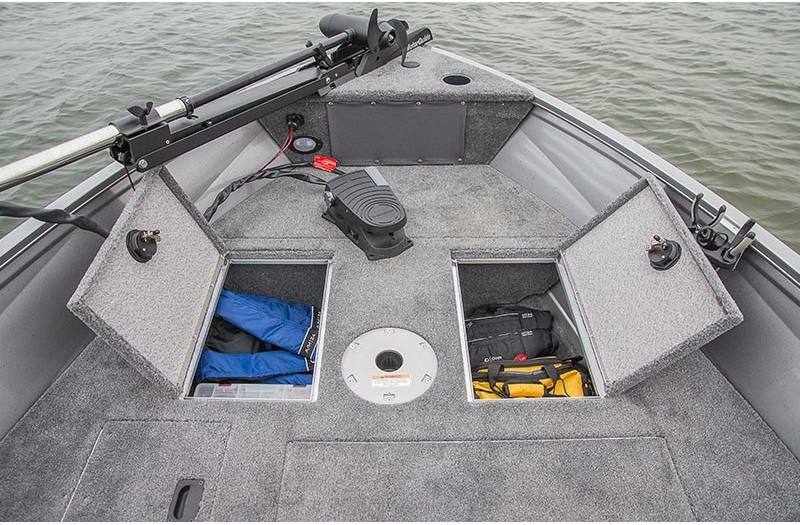 Abundant Rod Storage: Lockable in-floor rod storage holds up to five 8'6" rods, while the starboard quick access rod rack system accommodates three 7' rods and two 9' rods for multispecies angling. 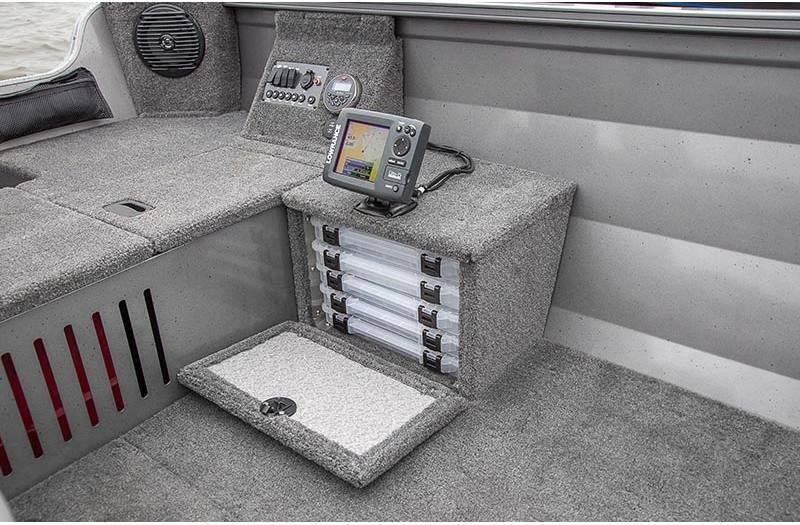 Command Panel & Storage Console: The Tiller's command center was made with convenience in mind, with direct access to the switch panel as well as a 12V power outlet and space for an optional Boss stereo. 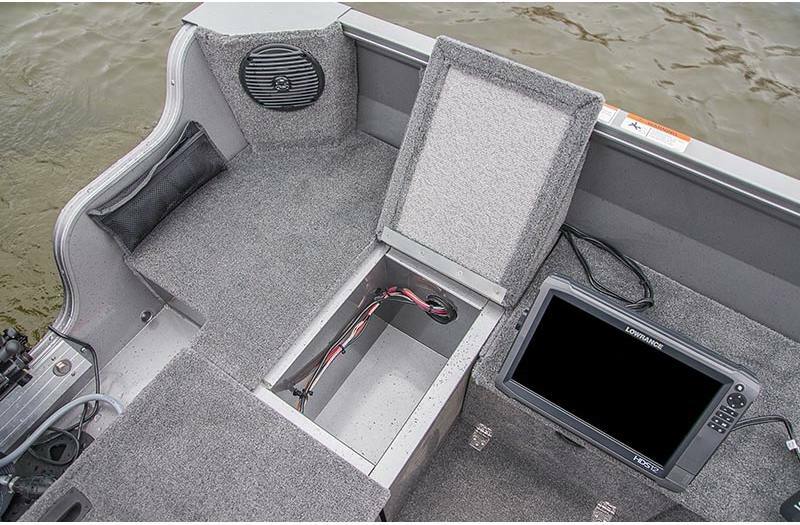 The Storage Console comes complete with 5 tackle trays and room for electronics up top. 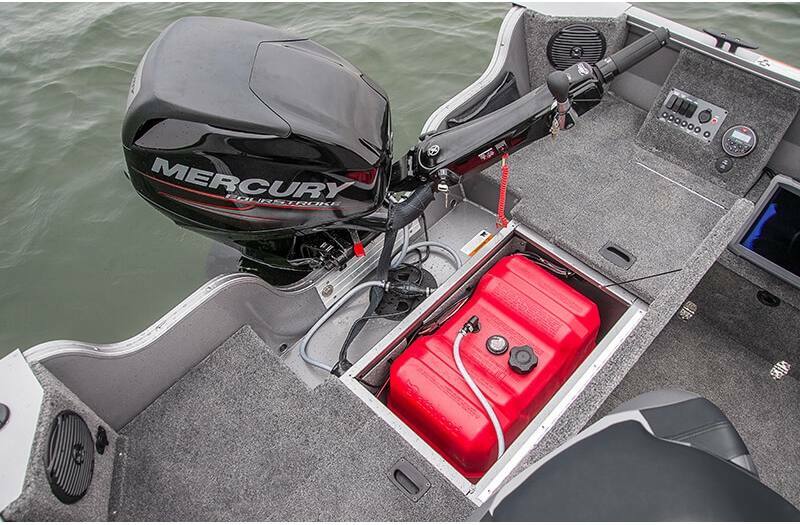 Bow Livewell: Keep your catch fresh with the 17-gallon aerated livewell with bait bucket located in the bow. 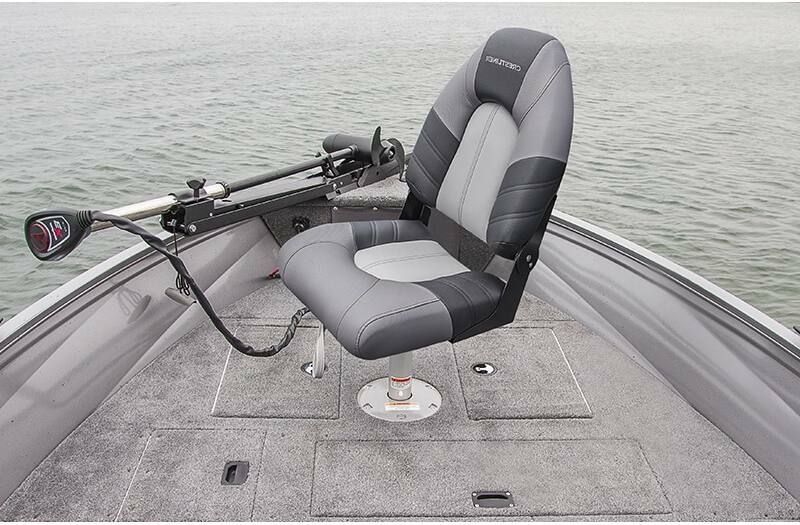 Large Cockpit: Everything you need to own your day on the water is within reach from the driver's seat. 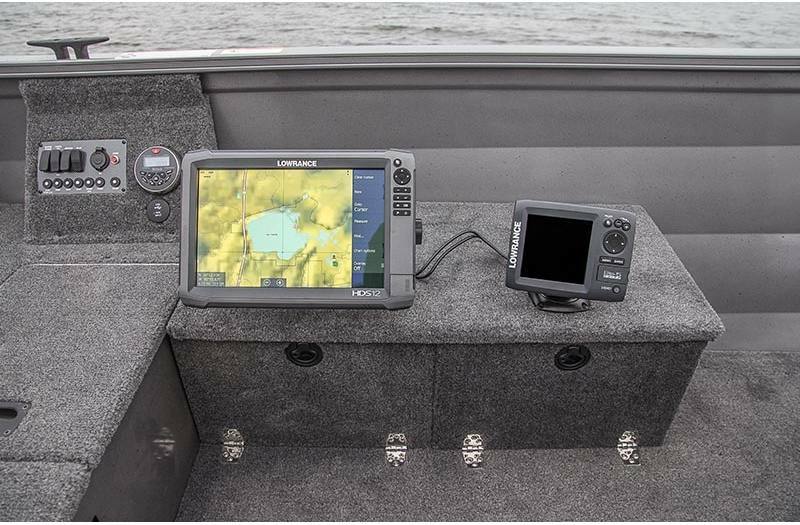 Enjoy easy access to your rods, command panel and storage console. 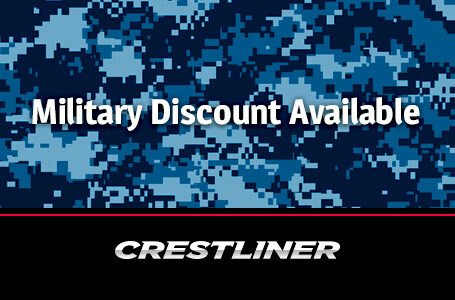 Fish Package: For stalking out trophies and angling your way through the day, upgrade your Vision Tiller with the Fish Package. 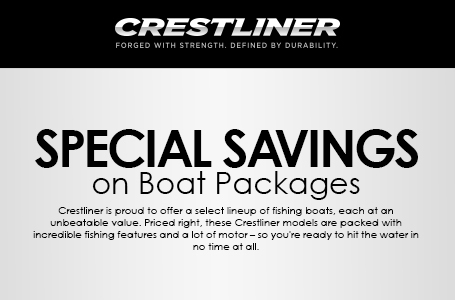 Includes either a Minn Kota or MotorGuide trolling motor, Lowrance 3X Elite Color Fish Finder, and a SureMount accessory bracket. 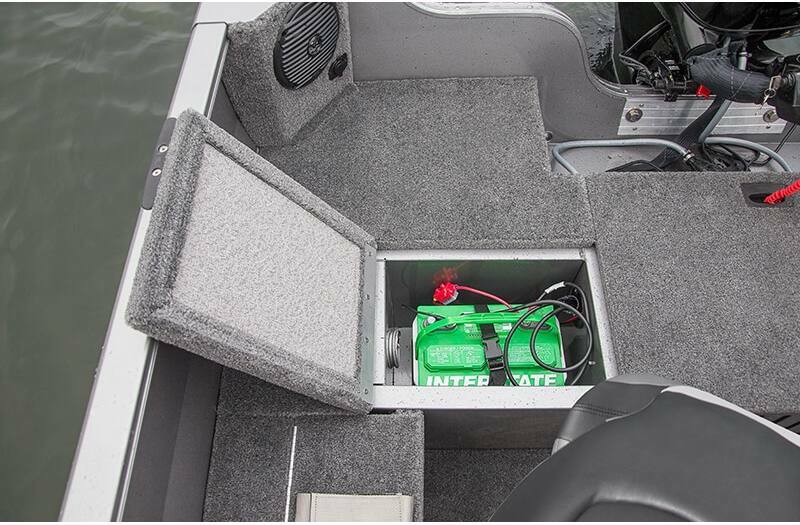 Rod Locker: Upgrade to the Starboard Rod Locker. 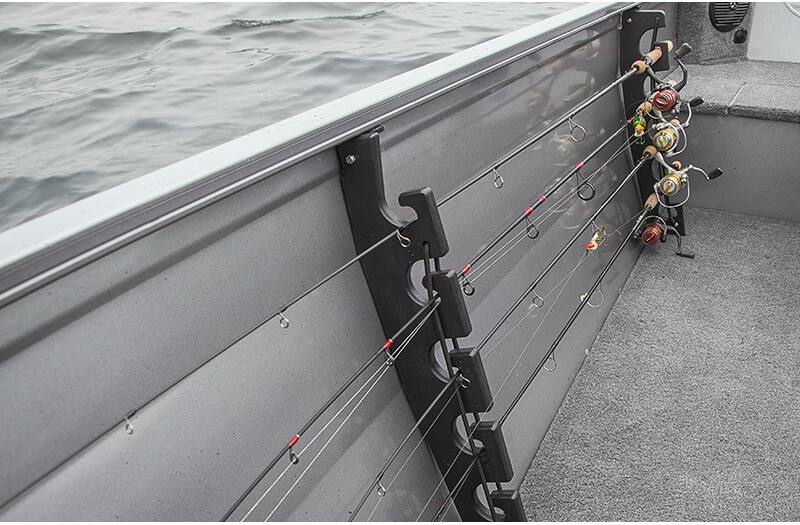 Locks tightly, holding 7' rods plus one more up top that can be secured with topside rod straps. 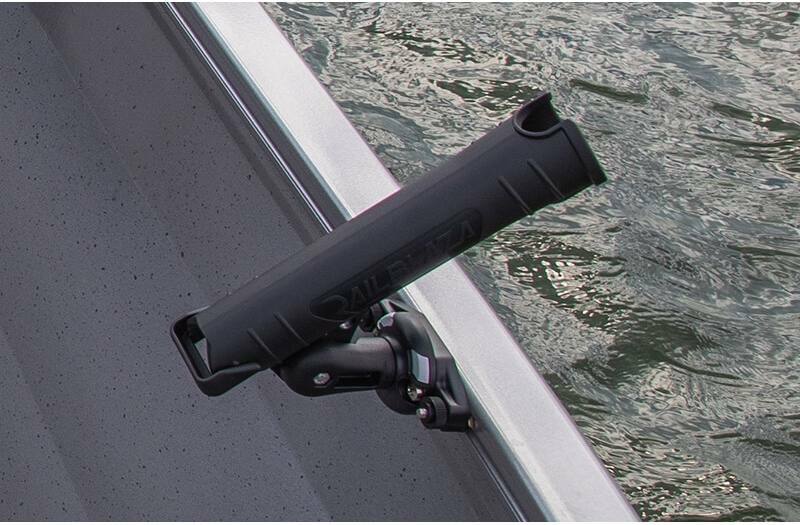 (Replaces the Starboard quick access rod rack system). Travel Cover: The snug, custom-cut travel cover attaches securely to extruded gunnels with easy on/off snap-less J-Hooks. Weight (Boat only, dry): 902 lb.